*Authorized Medallion Cabinetry Dealer* *Open by appointment only! Please call! 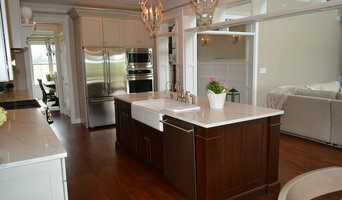 * Located in Greenwood, Delaware, we have been designing and installing beautiful kitchens on Delmarva for over 20 years. We believe our experience will speak for itself! Mike will personally meet with each customer to design the kitchen of their dreams, using quality cabinets from Medallion Cabinetry. We are proud to be an authorized Medallion Cabinetry dealer. We are a hands on company, we use qualified subcontractors whose work is carefully monitored throughout the entire project whether a new kitchen or remodel. Mike will personally be available to respond to your questions. We strive to provide small town, personalized service and professional installation of the products we sell. Be sure to visit our Facebook and Houzz pages to see what’s new. We’d love to have you leave feedback and share your photos on our Social Media pages. We feature award winning kitchen and bath designers/ remodelers, over 40 years of kitchen and bath designing and extensive home improvements. One of our team is a former guest instructor of kitchen design/ remodeling at Cal Poly, Chaffey College and Mt. San Antonio College. Welcome to Avenue Medical Construction. We are a design build company specializing in creating accessible spaces for residential and commercial clients. Avenue Medical serves all of Delaware, Southeastern Pennsylvania and New Jersey. Accessibility products and services include porch lifts, ceiling lifts, ramps, stair glides, zero entry showers, and accessible bathroom modifications, additions, flooring, accessible kitchen design. Kitchen Cabinets and More is the successful joining of CKJR Construction and Wayland Lewis. The CKJR Construction firm, Jim Johnson and Chris Hope have more than 30 years experience building custom homes. 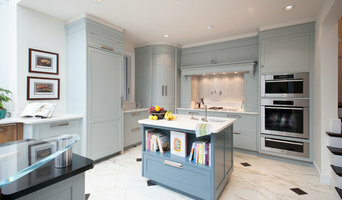 Wayland Lewis has been working as a kitchen designer and construction for more than 10 years. Mission Statement To provide the best prices and service to fit our customers needs. Everyone deserves a beautiful kitchen at a great price. Since 2003, Richwood, Ltd. has provided high quality Custom Cabinetry and specializes in Estate Kitchens, Bathrooms, and Built-In Units. We provide services for many homes on the Eastern Shore and beyond. If you are considering a new or updated Kitchen, Bath, Mudroom, Home Office, Bar, Library, Den or any custom cabinetry please call to make an appointment for a free consultation. Kitchens and bathrooms are two of the hardest-working spaces in any home. When it’s time to update them, ensure that they stay at peak functionality by hiring a South Bethany kitchen and bathroom remodeler. With an eye for aesthetics, a practical approach to layout and design, and the skills of a contractor, a bath or kitchen remodeler in South Bethany, DE can help you execute a remodel suited your personal style and needs. 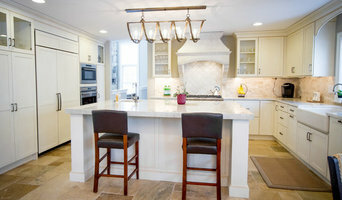 What does a South Bethany kitchen and bath remodeling expert do? Licensed Delaware kitchen and bath remodelers are contractors who specialize in altering the structure of an existing space, rather than building one from the ground up. Because he or she must deal with a previous builder’s work, the job can get more complicated than new construction. You might wonder why they often specialize in both kitchens and bathrooms, but if you think about those two spaces, they actually have a lot in common. Kitchens and bathrooms include an abundance of fixtures that require careful planning and installation, including sinks, faucets, tubs and toilets that all need water hookups and drainage. They also use similar materials, such as tile and stone for countertops and flooring, due to the nature of their use. So it makes sense that South Bethany kitchen remodelers and bathroom remodelers be one in the same. A bathroom or kitchen remodeler translates architectural plans from page to reality; some are also trained to provide design services so that you don’t have to hire a separate pro. Like a general contractor, a kitchen and bathroom remodeler in South Bethany, DE is responsible for hiring and supervising subcontractors and providing materials when necessary. They also should have a thorough knowledge of Delaware building codes and construction-related legal issues, as well as current design and product trends. 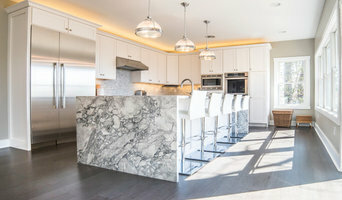 Here are some related professionals and vendors to complement the work of kitchen & bath remodelers: Woodworkers & Carpenters, Kitchen & Bath Designers, Interior Designers & Decorators, Architects & Building Designers, General Contractors. Find a South Bethany kitchen and bathroom renovator on Houzz. Narrow your search in the Professionals section of the website to kitchen and bathroom remodelers in South Bethany, DE. You may also look through photos of South Bethany, DE spaces to find kitchens or bathrooms you like, then contact the bathroom or kitchen remodeler who worked on it.